Installing a solar system has both short-term and long-term benefits. Right away, you can feel warm (literally) and fuzzy (figuratively) about reducing your “carbon footprint.”. Plus, over time the system will gradually pay for itself out of your energy savings, AND as a bonus, once paid for, it can start making money for you. In the past, solar systems were expensive, some people who thought about installing solar decided the cost was too high. With today’s high tech and lower cost systems, the “payback” period is shorter, depending on your climate, local utility rates, financial incentives available (usually from government programs), and laws governing “net metering” policies. 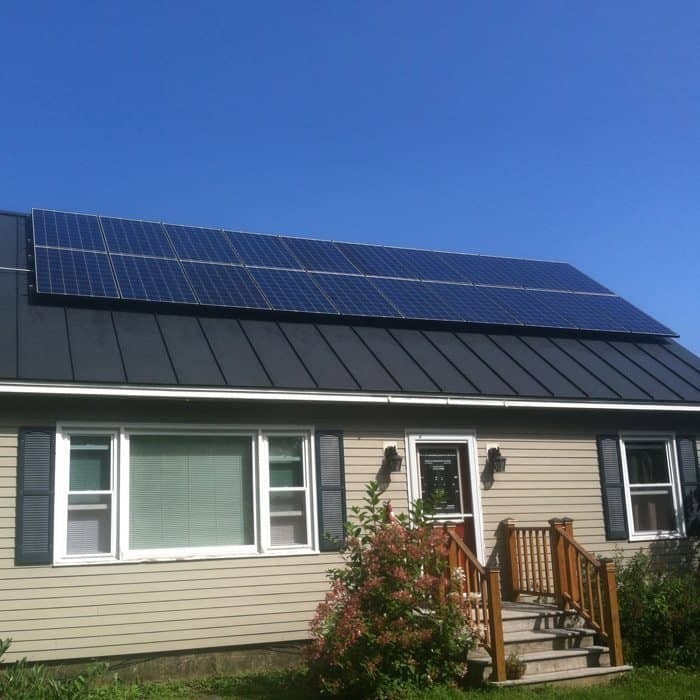 In the best cases, the compound annual positive rate of return and the increase in property resale value more than covers the cost of the PV system in time and reaps a significant financial gain for a net zero home in Vermont after the system is paid for. What Factors Improve Payback? The most important factors in making a net zero home in Vermont or New Hampshire an attractive investment include the availability of financial incentives, net metering policies and ample sunlight. High electric rates can come in various ways. Vermont and New Hampshire have average residential rates in the vicinity of $0.15 per kilowayy-hour. States such as California, Hawaii, New York have average rates well above $0.15 per kilowatt-hour. California, in fact, has a tiered pricing system penalizing large residential users with prices as high as $0.33 per kilowatt-hour. Under most net-metering laws (they vary by state or utility), solar energy offsets the retail cost of the electricity. Utility companies ‘purchase’ the unused solar-generated electricity from the homeowner in the form of a credit. Such customers can draw from these credits during those times of the year when electricity use is higher, and actual solar generation is low. Once you have a general idea on the system price, financing costs, and the value of the electricity generated, it is possible to calculate the payback time on your investment. As you might expect, the less expensive the solar power system and the higher the regular electricity rate, the faster the payback time is on a system.